SAN FRANCISCO (KGO) -- You know it's almost Thanksgiving when the cars come to San Francisco. The 58th annual International Auto Show kicks off Saturday. It offers local car enthusiasts a first chance to see the new 2016 models from car manufacturers. 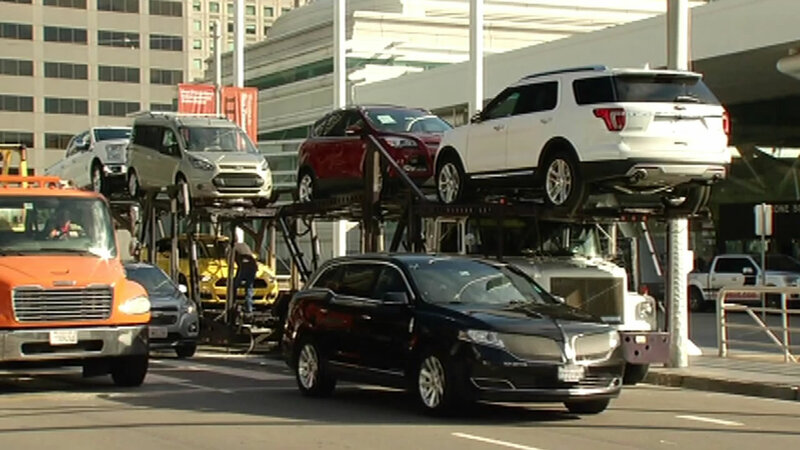 Speaking of which, ABC7 News was at Moscone Center Friday morning as some of those cars, trucks and SUVs were offloaded. The auto show runs through next Saturday, including Thanksgiving Day.